The "Annotated Shakespeare" series allows readers to fully understand and enjoy the rich plays of the world's greatest dramatist. One of the most frequently read and performed of all stage works, Shakespeare's "Hamlet" is unsurpassed in its complexity and richness. This fully annotated version of "Hamlet" makes the play completely accessible to readers in the 21st century. It has been carefully assembled with students, teachers and the general reader in mind. Eminent linguist and translator Burton Raffel offers help with vocabulary and usage of Elizabethan English, pronunciation, prosody and alternative readings of phrases and lines. His on-page annotations provide readers with all the tools they need to comprehend the play and begin to explore its many possible interpretations. 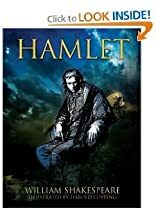 In his introduction, Raffel offers important background on the origins and previous versions of the Hamlet story, along with an analysis of the characters of Hamlet and Ophelia. And in a concluding essay, Harold Bloom meditates on the originality of Shakespeare's achievement. Easily my favorite work in any language. If I were trapped on a desert island and could only choose one work to have with me it'd be Hamlet. I've read it so many times I find myself reciting lines from it without thinking in daily conversation. Don't buy into the old tired interpretation that it's about a man who could not make up his mind or it's about someone who thinks too much. 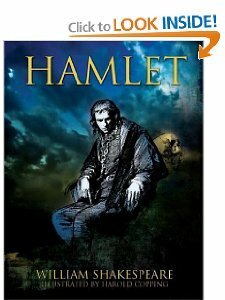 Read it with an open mind and try to see who Hamlet really is and how he's actually every noble human caught in difficult and painful circumstances.